Complex systems like Git become much easier to understand once you understand how they work under the hood. This guide explains some of Git's core concepts including basic object storage, commits, branches and tags. It also contains in-depth explanations about the different kinds of merging in Git, including the much-feared rebase. Git is currently the most widely used version control system in the world, mostly thanks to GitHub. Complex systems like Git become much easier to understand once you figure out how they really work. 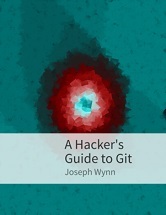 The goal of this guide is to shed some light on how Git works under the hood.